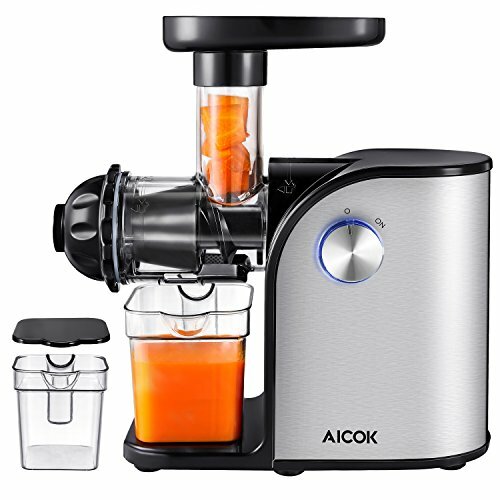 ✔ Higher Nutrition – A masticating juicer extractor juices at low speeds of 80 RPM minimizing heat build-up and oxidation. 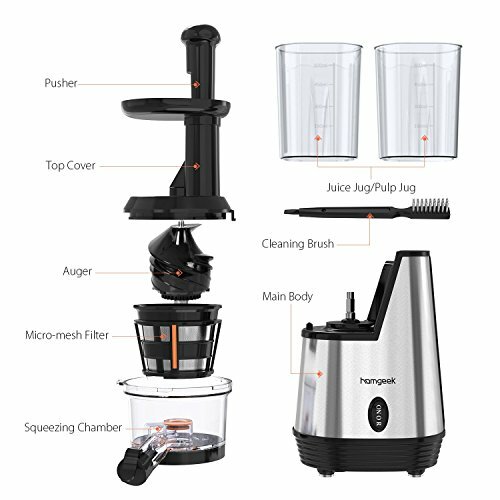 This gentle squeezing action keeps minimal Oxidation, low heat build-up, less foaming and no clogging, remains much more enzymes, vitamins, minerals and trace minerals when use juicer. 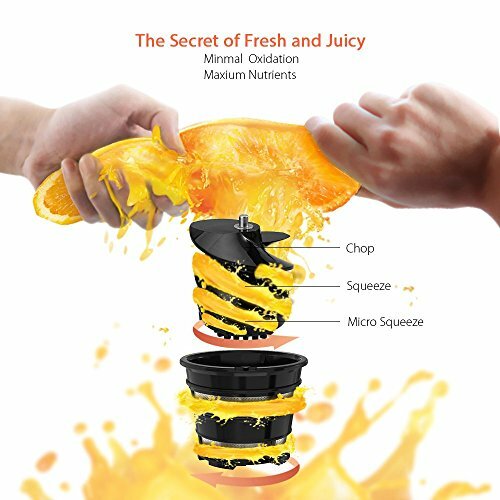 Less nutrients lost and healthier. 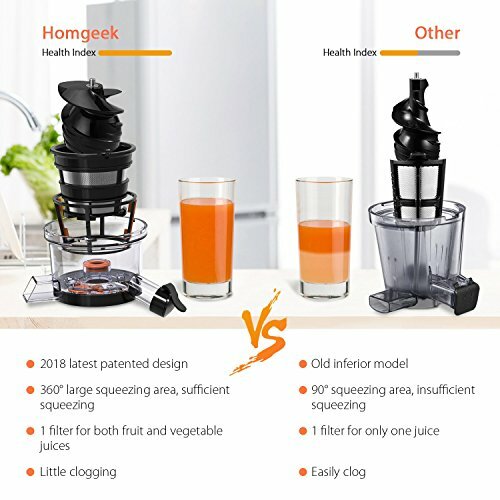 ✔ High Efficiency and Multi-Purpose – The vertical slow juicer machine extract up to 30% more juice and 40% more vitamins and minerals than other juicers. 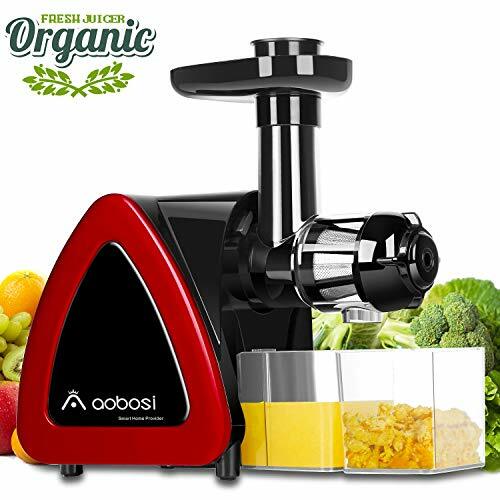 Juices all fruits and veg including soft fruits, leafy greens and wheatgrass. 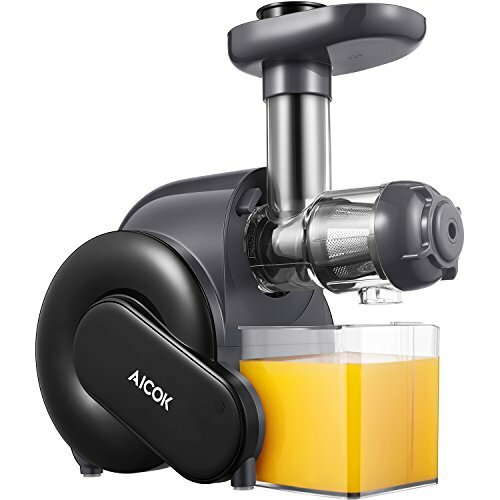 ✔ Thoughtful design – Compact design ensures it doesn’t take up too much room and will fit in most kitchen cabinets. 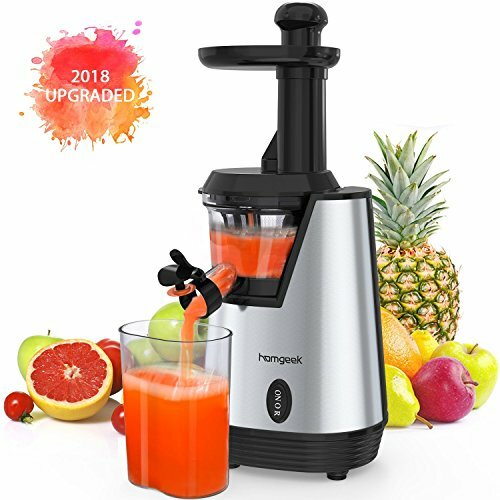 This juice extractor has a smart drip-free smart cap that prevents the mess on the counter top and you can perfectly mix a variety of juices. 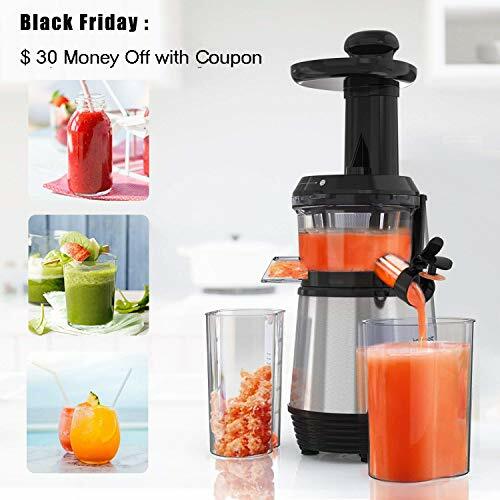 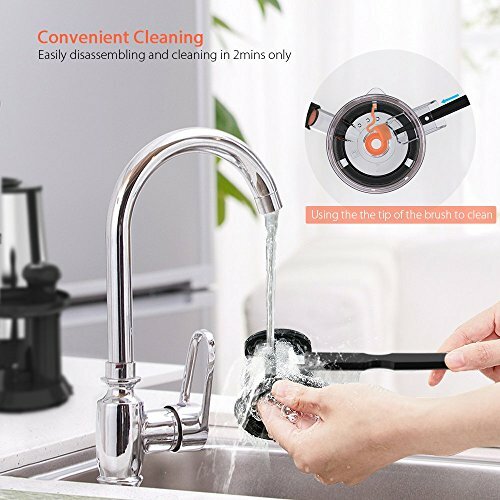 ✔ Safe & 100% BPA Free – The cold press juicer will not operate without juicer cover in place and safely locking arm in place in the sensing position. 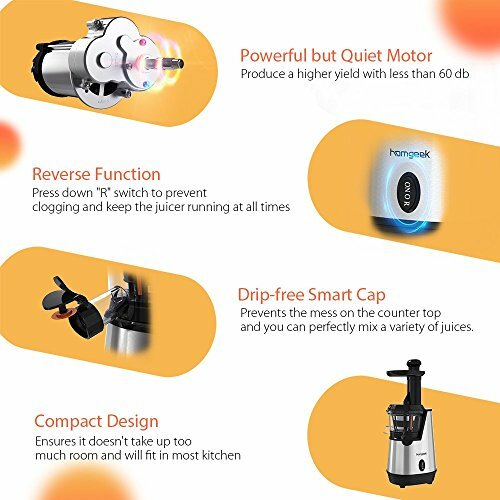 200W heavy duty powerful DC that has long continuous working time(10mins). 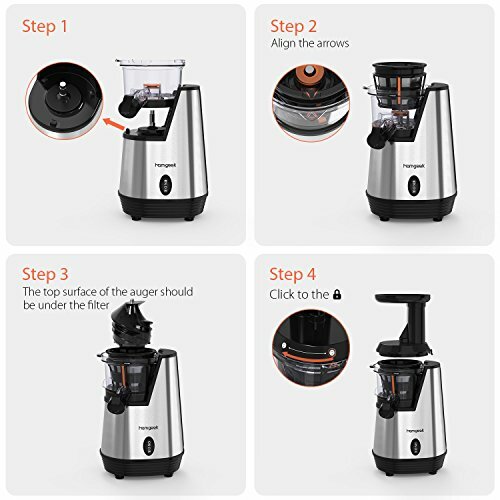 Here are no sharp edges in our stainless steel juice maker, and all the parts are made 100% BPA-free.